I am Aayush Bhaskar. Mainly, it’s me who’s writing everything here. I also have some aspiring guest bloggers who contribute to BforBloggers and help us grow by sharing their knowledge with you. I started BforBloggers in 2017 at the age of 15 (I was and still remain the youngest professional blogger in India) and it was a drift of passion which took me to the blogging world. I’m from Muzaffarpur, Bihar – A lovely place with lovely people in India. I watched videos online, took a few courses too out of which TAC was something I loved. What made me so interested in blogs was the time when I first saw the guitar trainer saying he has got all of his fame and build his business through his Youtube channel and online course which he sold on his blog. That’s when I was introduced to what a blog was and what I could possibly do with it. Just to let you know, BforBloggers and I have been featured in WPX, HubSnacks, and many more interesting websites that you have known for too long. 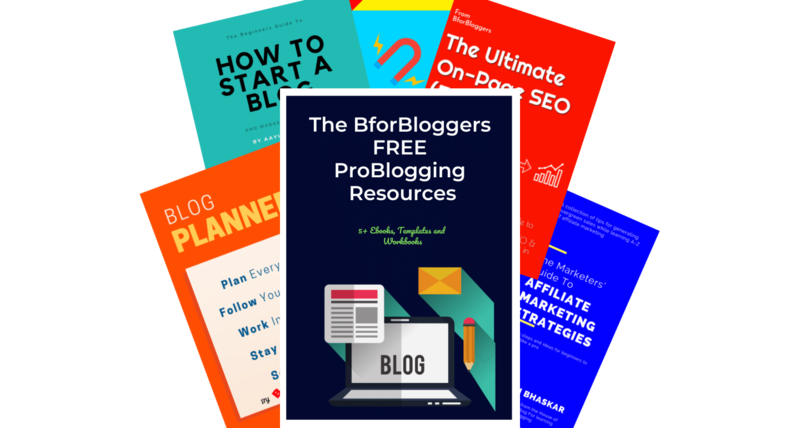 Initially, BforBloggers was started on blogger (Blogspot) platform on 9 October 2017. As soon as traffic grew, I shifted to WordPress on 1st December 2017, which happens to be my birthday too. I write about what’s new and working, what helped me with my blogging earnings and traffic, and sometimes, what’s deeply hidden in the existing articles online that beginners can understand. Thanks to that, my email list has grown to over 4000 new subscribers as of March 2019! Join the list here. Once I was able to arrange a substantial amount of traffic I shifted my mind towards content marketing. I keep experimenting with different themes, SEO titles, new tools, and plugins. Nothing stops me from discovering new pieces of stuff that work for generating profit. You can look here to see what I’m currently using. I am learning Daily. WordPress and Online marketing are my love and I enjoy learning and playing with SEO and new marketing strategies. BforBloggers has helped make great money online, you can look at my income reports here. Not only I write to inspire you, but also to teach you business goals. I have been an eager beaver to learn and teach as much as I can. Join me on facebook and twitter to join our community of awesome bloggers.